Simply put, Dermarolling is one of the most effective health and beauty treatments available in the industry today. If boosted collagen, reduced fine lines and wrinkles, treated scarring, minimalized acne, closed pores and improved pigmentation are all things you could only dream about for your skin, think again! and that’s just to name a few…. Book in with our team today and thank us later! We start by numbing the skin, so although needles are used- you won’t feel a thing! Vitamin and hydration serums are layered over the surface of the face and neck, then using a medical microneedling roller we work these products into the epidermis of the skin. This process usually takes about 10-15 minutes. 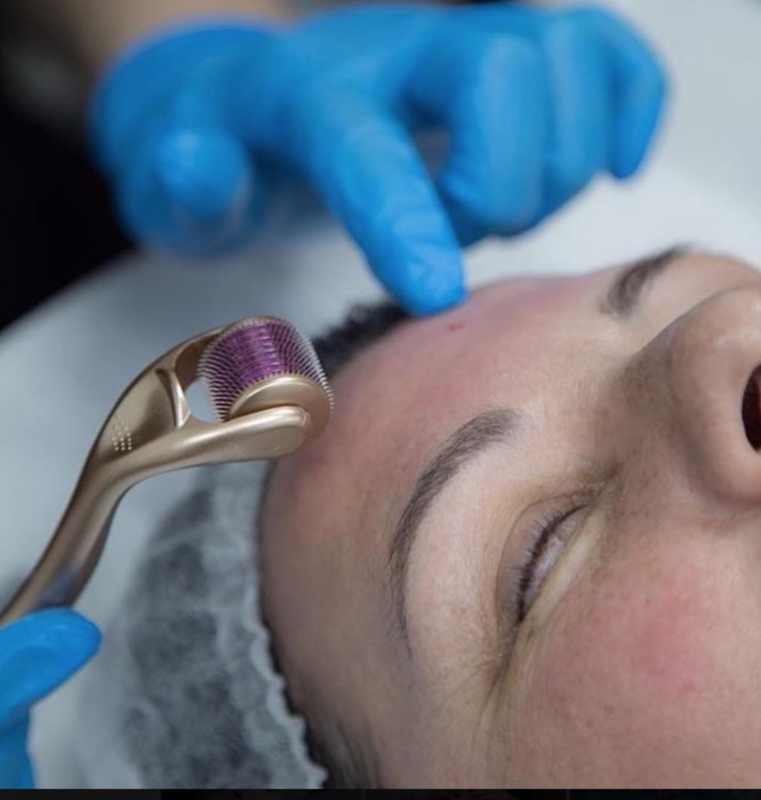 Once the rollering is completed, we finish the procedure by massaging a pure collagen gel into the skin and allow you to relax with a hydrating face mask. Who is microneedling suitable for? Microneedling is suitable for just about anyone! In short, No! You may feel a little discomfort from time to time, but we numb the entire face at the start of the procedure -which is only short-and our priority is your upmost comfort.